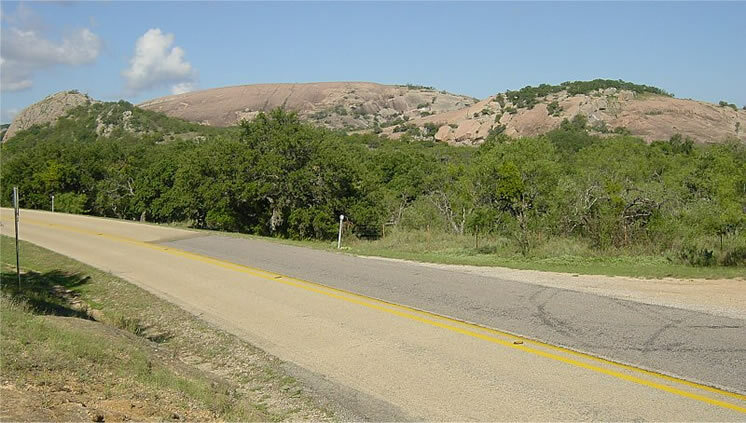 FM 965 provides access to Enchanted Rock State Natural Area, one of the most popular state parks in Texas. 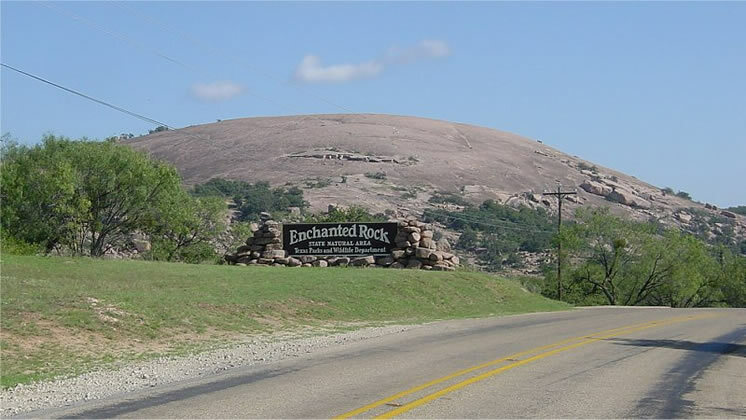 Locally here in Austin, Enchanted Rock is known as "E-rock" and is especially popular with rock climbers. Enchanted Rock is a pink granite dome that rises from the semi-arid hill country landscape. A 1963 photograph below shows FM 963 under construction. 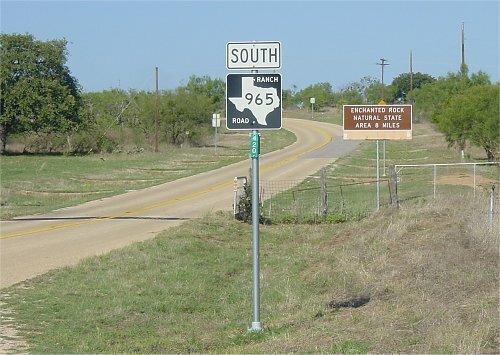 The northern start of FM 973 at Texas 16. A typical view of the northern section of 965. 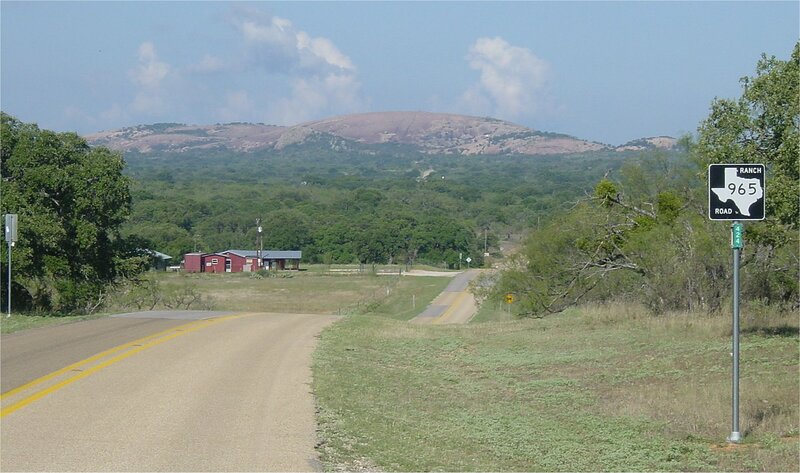 (click for high resolution image) Enchanted Rock appears in the distance. The above photo shows paving of FM 965 in progress on October 16, 1963. Below is the same location on September 2, 2001. A 1938 road map shows an east-west road from Texas 16 that provided access to Enchanted Rock before FM 965 was completed. 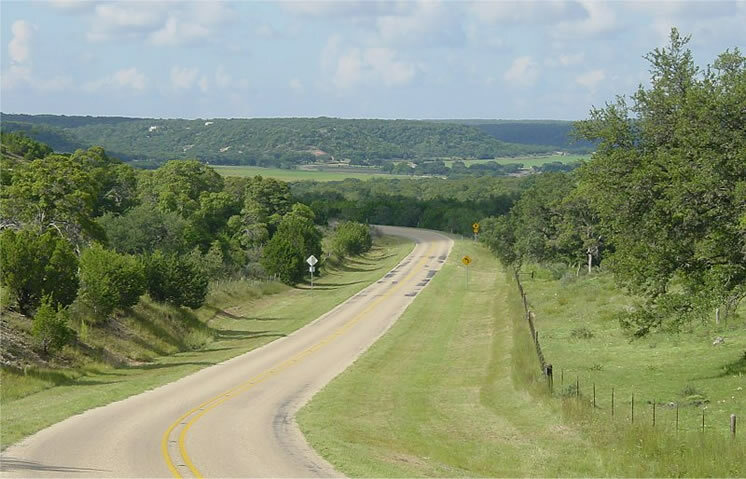 A view along FM 965 south of Enchanted Rock.